Description: Rounded groups of lustrous elongated tabular baryte crystals. The outer layer of the baryte is clear, whereas the core is opaque. 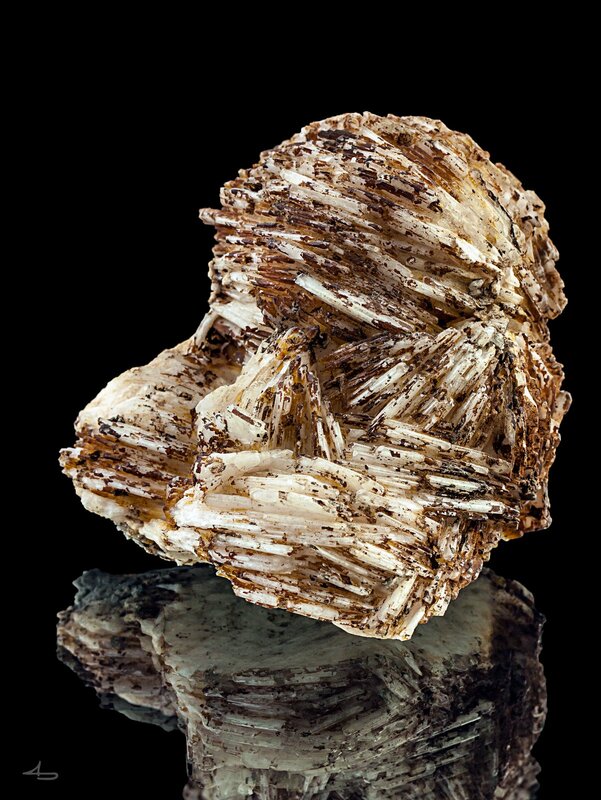 Brown goethite gives a nice contrast.